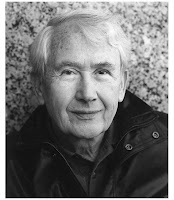 Frank McCourt died on Sunday. 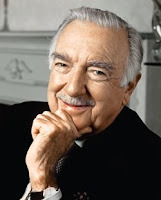 Walter Cronkite died on Friday. 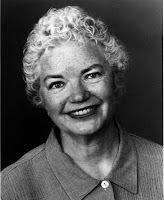 Molly Ivins died more than two years ago. As near as I can tell, none of them had much in common with the other, but yesterday I couldn't stop thinking about all three of them. It started when Walter died and the tributes began. Clips of Walter's greatest moments were everywhere, his deep Midwestern voice--soothing and comforting, authentic and sure--reminding me that once there were straight, honest chroniclers out there reporting the news in ways that we could understand and then judge for ourselves the truths presented. In the PBS tribute to Cronkite, a repeat of a biography broadcast several years before, Molly Ivins was seen commenting about his influence on the country. I don't remember what she said, but I bring this up only because both she and Walter were fresh on my mind when I heard the news that Frank McCourt had died on Sunday. All three were fascinating and sure of themselves and fully aware of the impact they had on the rest of us, but I could say that about a lot of people--even people I don't like at all. All three of them were unlikely "stars", but they made their marks indelibly, unforgettably. All three spoke to me in radically different ways, but throughout the years all three voices have stayed with me. Whenever I;ve thought of each of them, it was as if I had known them personally. It has to do, I think, with their fearless honesty, with their refusal to toady or pander, with their ability to communicate with such clarity I couldn't help but sit up and pay attention. But as I thought about each of them, I also saw them in entirely different ways. I loved watching and listening to Walter. Again--soothing, straight, strong, full of emotion--but as much as I had looked forward to reading his autobiography, "A Reporter's Life", I couldn't get through it. Without that steady, forceful voice I found his words oddly and disappointingly just words . We need people like Cronkite. He made us feel safe. We could count on him to be Uncle Walter, no matter what. I can't think of a replacement right now, and I want to--badly. We need people like Ivins. She could cut through the crap and do it so wittily even the pompous asses she skewered with comforting regularity couldn't help but admire her. Who is out there to take her place? We need people like McCourt to make us understand the paralyzing shame of poverty and the powerlessness of the children of the poor. We need to allow our hearts to be subject to breakage in order to understand that we have the passion and the power to make lives better. The one element I left out of this is laughter. Both Ivins and McCourt are laugh-out-loud funny. (Walter not so much) When I finished reading "Angela's Ashes" I had laughed and cried and laughed and cried so much I felt as if the book was an immediate danger to my health. It took years before I could open it again. But the beauty of the system is that when I thought I could open it again, it was right there on the shelf, waiting for me. Nothing was lost. Molly's books are on those shelves, too. And all I have to do is Google or YouTube Walter's name and in a quick flash he'll be there. Because, lucky for us, that's the way it is.